Product code: Q432 Category: Sold Watches. Sienna Giallo is a wonderful warm yellow coloured marble that has been mined from Italy since the 1500’s and has been used for so many uses including spectacular clock cases as can be seen here. 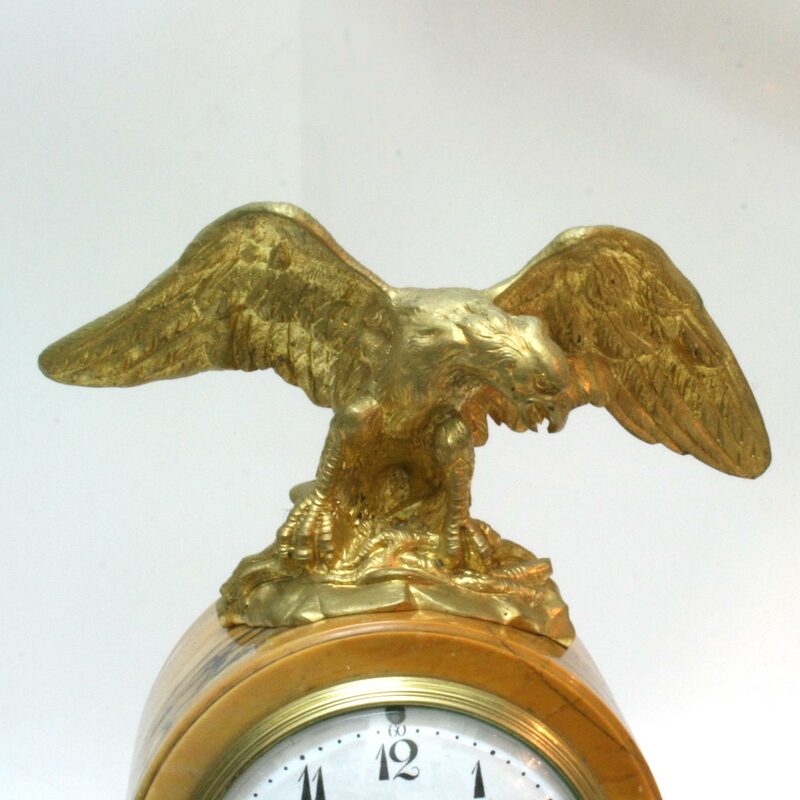 This antique clock was made in France in the early 1900’s and uses the Italian Sienna Giallo marble that really makes such a statement with the gilded eagle sitting proudly atop the clock. 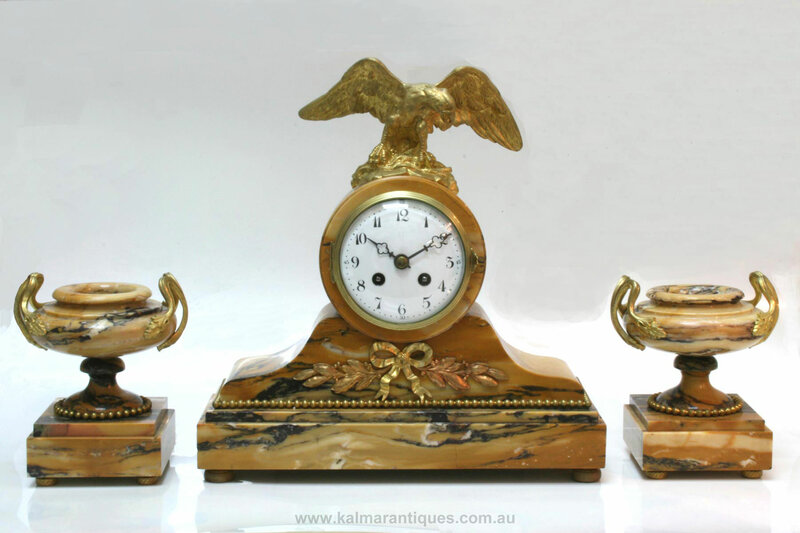 This is a garniture set meaning that not only is there the clock, but also the two side pieces which really give this clock some impact when you walk into a room where this would sit proudly. The 8 day movement was made by the French firm F.Marti and has just been completely serviced and runs perfect and comes with our 12 month warranty. With a delicate chime on the hour and half hour, the white enamel dial is all original and so easy to read and also has those original and very elegant hour and minute hands. The clock measures 33.5cm across by 11.6cm deep and to the top of the eagle measures 33cm in height. The two side garnitures each measure 10.7cm across by 10.5cm deep and 16.5cm high. Antique French clocks are just as much a piece of elegant furniture in a home as they are a clock and this one is simply spectacular.